Provide comfort for the family of Martin Schultz with a meaningful gesture of sympathy. 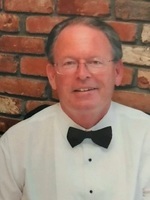 Wellesley - Martin H. Schultz passed away peacefully on January 26th, 2019 at age 72 after a long illness surrounded by his loving family. Martin is survived by his wife Joanne and daughter Tamara as well as many nieces, nephews and his sister Terree McMichael. A memorial service will be held on Saturday February 2nd at 11:00 am at the Wellesley Hills Congregational Church (207 Washington Street). In lieu of flowers, expressions of sympathy may be made in Martin’s memory to the American Cancer Society, 3 Speen Street, Framingham, MA 01701 (cancer.org) (800-227-2345). To plant a memorial tree in honor of Martin H. Schultz, please visit our Heartfelt Sympathies Store. We encourage you to share your most beloved memories of Martin here, so that the family and other loved ones can always see it. You can upload cherished photographs, or share your favorite stories, and can even comment on those shared by others.